I have been doing long arm for customers for more that 10 years now. 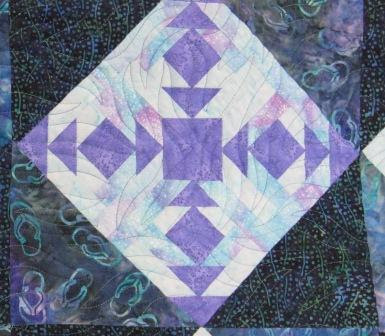 I like to do free motion quilting the most, like this one in the photo. This week I asked the owner of this quilt if I could post a photo. She would like to remain anonymous. It is a sampler style quilt set on point with the two boarders. 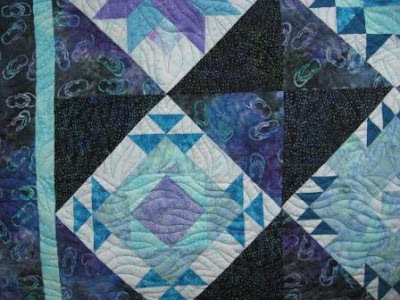 I thought because the colours and the flip flop batik were so much like the water or beach that the wave quilting would work best. It really does feel like a water or beach quilt now.